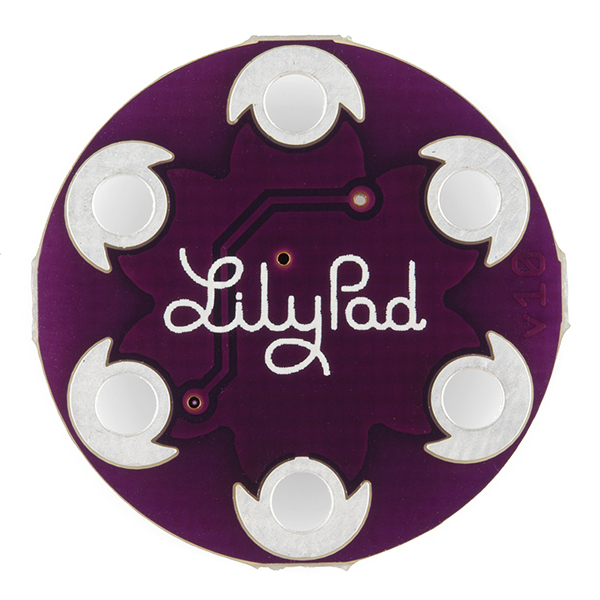 We know you love adding color to your e-textiles, adding the LilyPad Pixel Board to your project will only make it better. The pixel board is equipped with a WS2812 which is actually an RGB LED with a WS2811 built right into the LED! Several of these breakouts can be chained together to form a display or an addressable string. 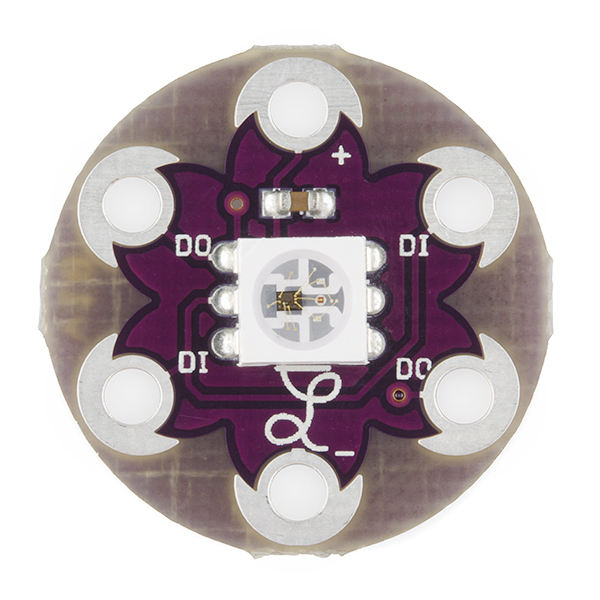 What is the difference between this, and the "LilyPad Tri-Color LED"? 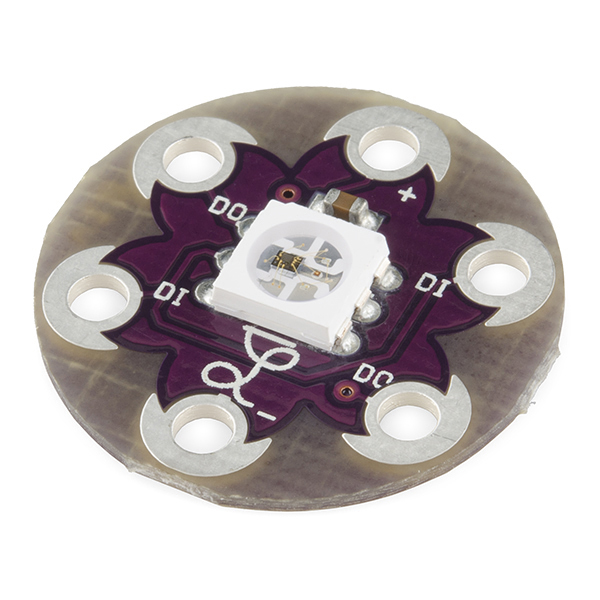 https://www.sparkfun.com/products/8467 Why is this much cheaper? The tricolor board requires three PWM signals to control, while this uses a single wire to send the signal. 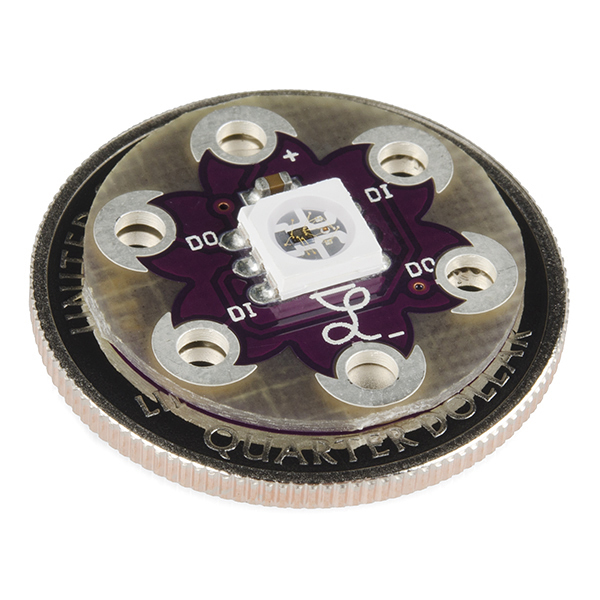 It can be daisy-chained as well, so you can drive more of these from one LilyPad Arduino.